Corporate – Innovative NeuroTechnologies, Inc.
Familial form of frontotemporal dementia and parkinsonism linked to chromosome 17 (FTDP-17). The pathology of these seemingly disparate conditions is similar in that they involve dysregulation of the Tau protein and development of neurofibrillary tangles (NFTs), synaptic dysfunction, and/or neuronal loss, which underlie the observed dementia or cognitive deficits. Unfortunately, there are no effective therapies presently available for this spectrum of disorders, and neurodegenerative tauopathies remain a very significant socioeconomic burden and tremendous unmet medical need worldwide. ”Alzheimer’s disease (AD) and other related neurodegenerative tauopathies remain a tremendous unmet medical need and major socioeconomic concern worldwide. Despite the strong and continued efforts from the pharmaceutical industry and National Institute of Health (NIH) in the past two decades to develop an effective treatment for AD, the results thus far have been far from promising. In essence, we still do not have effective and disease-modifying therapies currently available on the market for AD and many of its related tauopathies, especially traumatic brain injuries like chronic traumatic encephalopathy (CTE) observed in soldiers exposed to a blast or a concussive injury and professional athletes participating in contact sports that experience repeated head trauma. Perhaps the primary explanation for this lack of development of successful therapies for AD is due to our narrow and limited understanding of the underlying disease process, namely, that the beta-amyloid (Aβ) protein and “Aβ Cascade Hypothesis” is central in the cause of AD. However, the field of AD research is presently clearly in a state of flux and we have begun to understand that the alternative and often neglected target in AD, namely, the Tau protein, is equally if not the more attractive therapeutic target for this disorder. Thus, we at Innovative NeuroTechnologies, Inc. (INT) have assembled a highly experienced and capable management team along with a group of internationally renowned scientific experts to assist in the further development of our current pipeline of novel preclinical candidates or products against the Tau therapeutic target into clinical trials. We are very hopeful that by taking an alternative and more innovative therapeutic approach, we will ultimately be successful in our efforts to introduce novel effective and disease-modifying treatments for AD and other tauopathies, which currently is so desperately needed in the ever growing and expanding aging population in developing societies worldwide! Dr. Mojtahedian received his doctorate from the University of Southern California (USC) under the tutelage of Richard F. Thompson, Ph.D. Dr. Thompson is an internationally renowned senior neuroscientist who has achieved numerous honors and awards in delineating the fundamental mechanisms underlying the neuronal substrates of learning and memory. Before his doctoral training, Dr. Mojtahedian also spent several years training as a Senior Research Associate in the laboratory of Arnold B. Scheibel, M.D. at the University of California, Los Angeles (UCLA). Prior to his retirement, Dr. Scheibel was recognized as a highly distinguished world-renowned neuroscientist with over 50 years of teaching and research experience, and was one of the highest-ranking professors at UCLA. His research was focused on substrates of consciousness and higher cognitive functions, aging, and central nervous system disorders, including Alzheimer's disease and schizophrenia. 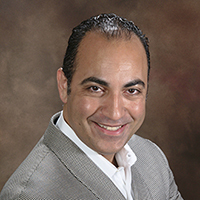 During this same period, Dr. Mojtahedian also gained very valuable industry experience as a Senior Analyst at a leading molecular diagnostics company in West Los Angeles, CA called National Genetics Institute (NGI), which provides advanced genetic testing services for blood screening, medical testing, and clinical research. NGI was subsequently acquired by Laboratory Corporation of America (LabCorp). Dr. Mojtahedian received his B.Sc. degree in Biology, with Honors in Major and College Honors, from UCLA and a Ph.D. in Neuroscience from USC. 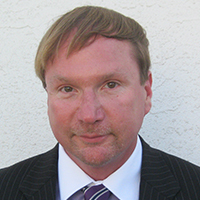 Dr. Simmon received his doctorate from Brown University and conducted postdoctoral research at Stanford University. He was employed by SRI International for six years rising to Assistant Director in the Department of Toxicology. He then joined Genex Corporation in 1979 and was Senior Vice President, Research when he was hired by W.R. Grace & Co to manage all of their biotechnology assets. After five years at Grace, Dr. Simmon became CEO of Alpha 1 Biomedicals, Inc. His next career move was to Cortex Pharmaceuticals, Inc., where he was appointed CEO until 2002. After three years as COO of Merrimack Pharmaceuticals in Cambridge, MA, he returned to Irvine, CA, as CEO of Xytis, Inc. Dr. Simmon has been affiliated with the biotechnology industry for over 33 years with two of the companies, namely, Cortex and Xytis, being involved specifically with the central nervous system (CNS). Dr. Simmon received his B.A. degree in Biology and Chemistry from Amherst College, M.Sc. in Plant Physiology from University of Toledo, and Ph.D. in Molecular and Microbiology from Brown University. He has also completed coursework at the MBA Executive Management Programs at Stanford University and W.R. Grace. James W. Larrick, M.D., Ph.D.
Dr. Larrick is a pioneer of the biotechnology industry. He is an outstanding biomedical entrepreneur with an international reputation in cytokines, therapeutic antibodies, molecular biology, and pharmaceutical drug development. During his 25-year career, he has written or coauthored eight books, over 250 papers/chapters, over 30 patents, and has served on the editorial boards of six journals. His work on therapeutic antibodies and other protein therapeutics has spanned the entire range of biopharmaceutical product development from target discovery, process science to advanced clinical trials. Dr. Larrick has also served as chairman of the biomedical screening committee of the Life Science Angels. Dr. Larrick began his biotechnology career as a founding scientist at Cetus Immune Research Labs, one of the very earliest biotechnology companies, starting in 1982. He became Director of Research in 1985. Cetus later became Chiron, which was ultimately acquired by Novartis for $5.1 billion. While at Cetus, Dr. Larrick developed technologies that were critical to the practical development of recombinant antibodies as a new class of biotherapeutics (encompassing many blockbuster drugs today). In 1991, Dr. Larrick founded the Panorama Institute of Molecular Medicine (PRI). The PRI team has discovered and initiated development of a diverse and innovative portfolio of drug candidates addressing major unmet needs in cancer, infectious, autoimmune, cardiovascular, neurological, and metabolic diseases. PRI has incubated more than 20 life science projects, which have led to Dr. Larrick co-founding the Palo Alto Institute of Molecular Medicine and more than a dozen other companies. To date, PRI-initiated projects and/or companies have led to five initial public offerings and numerous successful acquisitions. Dr. Larrick holds both M.D. and Ph.D. degrees from Duke University School of Medicine where he was a Medical Scientist Training Program scholar. He completed house staff training in internal medicine at Stanford Medical Center followed by a post-doctoral fellowship in the Stanford Cancer Biology Research Labs working on therapeutic human monoclonal antibodies for cancer and infectious diseases. Currently, he continues his roles at PRI and Life Science Angels, and serves on the boards of several biotechnology companies. Dr. Larrick also supports the hospital in Turmi, South Omo Valley, Ethiopia, and serves on the Boards of two non-profits, namely, the Sustainable Sciences Institute and the Sankofa Center for African Dance and Culture, focused on education, diagnosis, and therapy of HIV/AIDS and tuberculosis in Ghana. 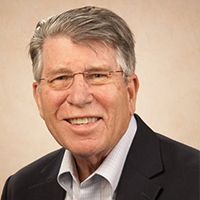 William C. Stevens, Jr., Ph.D.
Dr. Stevens is a business development professional that has successfully worked with several different companies. As Vice President of Business Development for Granlen, a chemistry-based contract research organization (based in Zhengzou, China), he assisted in building a very sustainable and growing business overseas. Most recently, he has been working with a group of independent business professionals to improve the profitability of several different organizations. Prior to engaging in business development, Dr. Stevens spent several years working with Exelixis where he was instrumental in leading two major projects to partnership and clinical trials. In total, the mineralocorticoid antagonist (MR) program provided Exelixis with over $70 million in guaranteed near-term payments, over $1 billion in potential development and commercialization milestones, and substantial royalties. The liver X receptor program was partnered with Bristol-Myers Squibb for up-front payments of $17.5 million and research and development funding of about $10 million per year over an initial two-year period. Exelixis was also entitled to $140 million in development and regulatory milestone payments per product for up to two products as well as downstream royalties. Dr. Stevens received a B.Sc. from Virginia Commonwealth University, a M.A. from Lehigh University in Physical Organic Chemistry, and a Ph.D. in Bioorganic Chemistry from the University of Virginia. He was a NIH psychoneuroimmunology postdoctoral trainee with the Minneapolis Medical Research Foundation at the University of Minnesota where he discovered the most potent non-peptide antagonist of the kappa-opioid receptor. Dr. Tran specializes in cross-border M&A, private equity and merchant banking advisory. 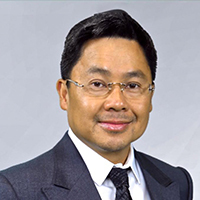 He is currently Chairman of of Asia Pacific Capital, a global private equity advisory firm and was also President of an Asian-based JV with Brean Murray Carret & Co., a New York-based investment bank that has transacted over 100 IPOs/APOs/SPACs and raised over $4 billion for U.S. and Asian companies. Dr. Tran often formulates M&A executions via going public with various financing options for SMEs via globalization strategies. Dr. Tran has been seasoned international consultant providing corporate development and interim senior management to emerging-growth companies in Silicon Valley and Asia Pacific region. He also served as board director, CFO, corporate strategist, and executive advisor for several distressed companies, managing turn-around situations. He also serves as Chairman of International Western Oil and board member of Key Legend Group, an energy-focused private equity firm. As a Silicon Valley high-tech veteran, Dr. Tran brings over 20 years of diversified experience, including mergers and acquisitions, private equity, strategic marketing and international business development. Prior to his investment and corporate advisory career, Dr. Tran worked for technology leaders including Micron Technology, Fujitsu Microelectronics, Mitsubishi Electric, Philips Semiconductors, holding various senior technical and marketing management positions. Dr. Tran holds a Ph.D. in Business Administration, an MBA from the University of Phoenix, and received his B.Sc. and M.Sc. in Electrical Engineering from San Jose State University, California. What differentiates INT from other companies is our focus on the underlying mechanisms responsible for Tau dysregulation and dementias. We are developing disease-modifying biotherapeutics to prevent, delay, or ameliorate the cognitive deficits resulting from tauopathies, such as in AD, FTD, or CTE, using passive immunization. This will at least delay onset or mitigate these dementias. In addition, INT intends to target an orphan indication, such as PSP or CBD, with its anti-Tau candidates to gain prospective “fast-track” designation through the FDA with smaller and more cost effective clinical trials. 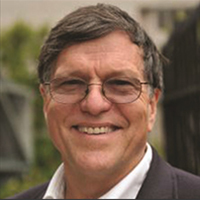 Distinguished Professor of Neurobiology, Psychiatry, and Biobehavioral Sciences and former Director of the Brain Research Institute at the University of California, Los Angeles (UCLA).An internationally recognized expert in the area of neuroanatomy with focus on substrates of consciousness and higher cognitive functions, aging, and central nervous system (CNS) disorders, such as Alzheimer’s disease (AD) and schizophrenia.Dr. Scheibel is a two-time Guggenheim Fellow and a member of the American Academy of Arts and Sciences, the Royal Norwegian Academy of Sciences, and the American Psychiatric Association. Professor, Departments of Psychiatry and Human Behavior, and Anatomy and Neurobiology at the University of California, Irvine (UCI). Dr. Lynch is a world renownedexpert in the field of mechanisms of synaptic plasticity and cellular and molecular deficits underlying cognitive impairment and neuronal vulnerability in brain aging and neurodegeneration, such as in AD. Keck Professor of Psychology and Biological Sciences and Senior Scientific Advisor to the Program in Neural, Informational and Behavioral Sciences at the University of Southern California (USC). A world renowned expert in delineating the basic neurobiological substrates of learning and memory, Dr. Thompson is member of the National Academy of Sciences, the American Academy of Arts and Sciences, the American Philosophical Society, and the Society of Experimental Psychologists. Professor, Department of Molecular Biology and Biochemistry, School of Biological Sciences at the University of California, Irvine (UCI). Dr. Glabe has published key work on the relationship between amyloid structure and the mechanism of amyloid pathogenesis in degenerative diseases. This discovery indicates that amyloids share a common structure that is implicated in a common mechanism of pathogenesis. In addition to key papers on the structure of amyloids, Dr. Glabe has published extensively on the mechanisms of amyloid accumulation in AD.